In the early evening on Monday, Notre Dame Cathedral in Paris caught on fire. Emergency services were on the scene quickly working to control the fire. The cathedral was undergoing an extensive renovation project. But considering the history of terrorist attacks in Paris and elsewhere in recent years, the reality is that citizens will wonder if the Notre Dame fire was terrorist-related. There have been no reported casualties so far. But human casualties are not always the goal of terrorist attacks. Terrorists can also target buildings and structures of cultural significance. It is one of the unfortunate reasons why the general public no doubt will wonder if the fire was terrorist- related. Scholars of terrorism often note that terrorists tend to target places where people gather and can be injured or killed. The idea is to deliver their message. The general public often thinks of the horrific terrorist incidents such as World Trade Center in New York or the Boston Marathon bombing precisely six years ago today. The images from those terrorist attacks remain fresh in the minds of Americans. Terrorist activity, however, doesn't have to be a large explosion to gain the attention of the public, nor does it have to be something that would create mass hysteria. Terrorist activity can send powerful messages if buildings or icons of a culture are damaged or destroyed. These incidents can send powerful messages to the general public. Once the Notre Dame fire is contained, public safety officials will carefully examine the cause of the fire. Of course, it is too early to say whether the fire was connected to terrorist activity. It is also too early to pinpoint the specific cause of the blaze. If that examination reveals possible terrorist involvement, however, it will be particularly important for law enforcement officials not to reveal too much information while they seek the perpetrators. 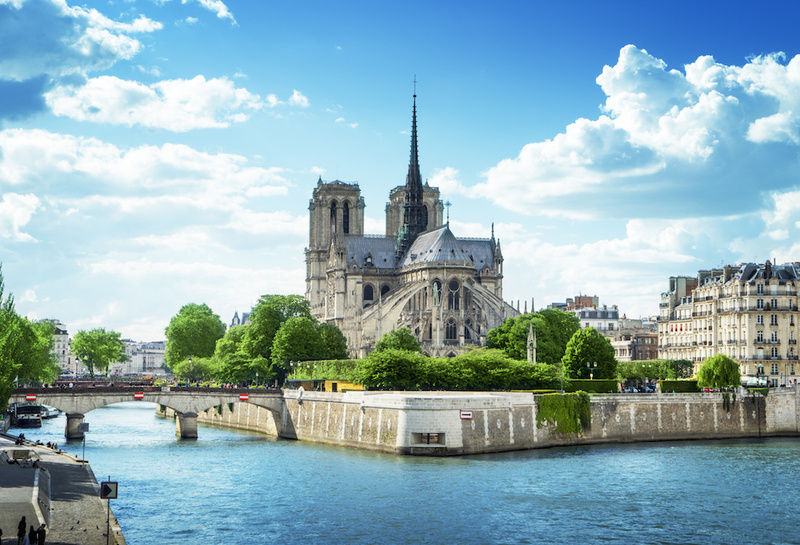 It will also be important to rebuild Notre Dame, even if some areas are heavily damaged. The most powerful message that French authorities can send to the public is to continue the renovation and rebuild the 13th-century French Gothic masterpiece.